Time Warp: An Out To Lunch routine with a watch theme and no rubber bands. This is one you'll definitely be using! Business Card Routine: A truly flashy business card effect! A signature visually disappears from one card to join the spectator's signature on another card! Perfect Time: Paul demonstrates his ability to predict the time down to the second. Paul explains how to easily accomplish this impossible feat! 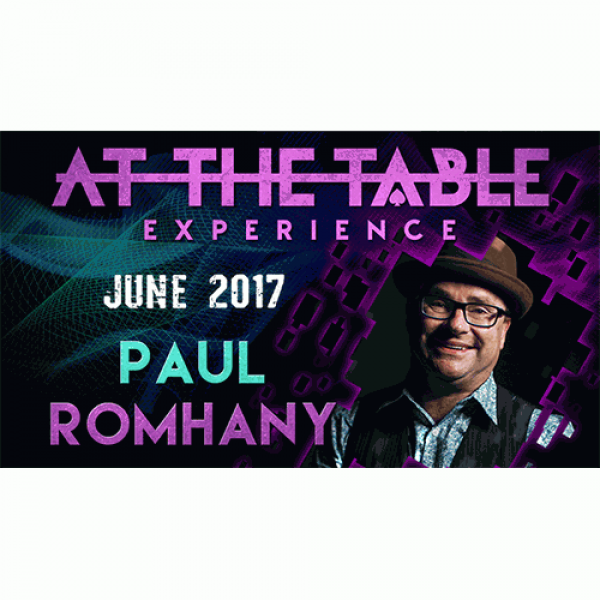 Romhany's Chair Test: Paul shares the secret to the chair test that he uses in his shows. For anyone who wants to break into stage work, or expand your stage repertoire, this is something you don't want to miss! Leg Trick: A fun, "impromptu" effect where you predict a spectator's choice. Works 100% of the time, all the time! Mental Epic: Paul runs through some fantastic nuances of Mental Epic and even includes a "propless" version for those who don't own a Mental Epic board. Sudoku Rubik's Cube: Paul shares a way to force a number using two Rubik's Cubes. Perfect for a Magic Square routine or a book test. WEACAAN: This is the World's Easiest Any Card At Any Number. nuff 'said. Book Test with ANY book: Paul's version of a classic book test. The best part of this version is that you can use any old book that you have lying around! Pencil thru Coin: Step 1. Erase the center of a coin to create a hole. Step 2. Penetrate a pencil through the coin. Step 3. Hand out the coin with missing center to thunderous applause. 8 Ball from Business Card: A beautiful 8 ball production from a drawing on a business card. A super strong walk-around effect guaranteed to get wild reactions!